I licked it so it’s mine. | Oh Look! It's A Blog! I love any reason to take cute kitchen photos, so this was on top of my to-do list. Also, Hive released THE MOST PERFECT garland for the current round of Uber. I have been wanting a nice set like these for awhile. ● Gabe’s sweatpants are from Mossu. *whisk and bowl are part of pose. 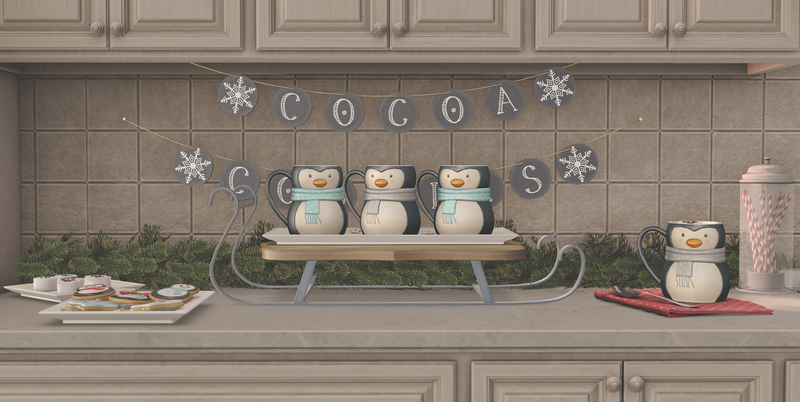 This entry was posted in iheartslFeed, Uncategorized and tagged (love), :ChicChica, Arcade, Baking, Christmas, Couple, Dead Dollz, Foxcity, Fun, Gacha, Garland, Hive, I licked it so it's mine, Izzies, LeLutka, Libellune, Lick, Messy Bakes, Mossu, Navy&Copper, pink fuel, Second Spaces, Semotion, Taikou, Tannenbaum, The Arcade, Trompe Loeil, Uber, Vanilla Bae, what next. Bookmark the permalink.